This banana bread is perfect for a special birthday breakfast or just a fun way to use up those old bananas! 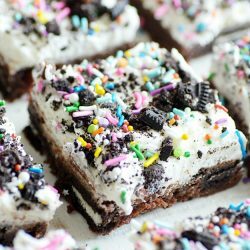 Incredibly moist, easy to make, and so much fun. Hey hey, it’s 2017! So, tell me everything. Are you making New Year resolutions? Are you losing weight? Getting fit? Eating more dessert? Kidding. I actually started my 2017 health “resolutions” last week. After about December 27, I just felt like I couldn’t go another day without getting on track. And by “on track,” I mean Weight Watchers. Always. It’s my favorite go-to (see this post… and this one). Speaking of Weight Watchers and zero point bananas…. 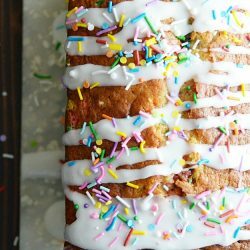 Would you check out this Birthday Cake Banana Bread?? Because I’m sure this is exactly what Weight Watchers had in mind when they made bananas a point-free food ???? ???? ????. This is my favorite cake mix banana bread recipe, and I think it is just fabulous. I’ve made Red Velvet Banana Bread and Brownie Banana Bread using this same recipe, and it’s just a super dependable delicious recipe. The bread is moist, full of flavor, and has an incredibly tender crumb. Can we talk about my weird foodie vernacular here? Tender crumb. Isn’t that the weirdest food terminology you’ve ever heard?? And once you know what it is, there really is no other phrase you can use in place of tender crumb for a food that has a tender crumb. The best way I can describe “tender crumb” is when the crumbs of a cake or bread are so moist that you can use the back of a fork to smush them and pick them up… does that make any sense to anyone but me? And omg, I’ve said tender crumb so much now that it’s starting to look weird to me. ???? Soooooo…. to get back on topic: this banana bread. It’s really just so much fun. It’s simple to make since it uses a cake mix (only 4 ingredients total!). Which also means that it has a wonderfully predictable cake-like flavor and fluffy texture. If you have any tired bananas just sitting around, may I suggest this Birthday Cake Banana Bread instead of a smoothie? Preheat oven to 350ºF. Line a 9x5x3 loaf pan with foil or parchment paper and lightly spray with a non-stick cooking spray. Mix together all ingredients until batter forms. Bake for 40-50 minutes or until a toothpick inserted comes out mostly clean. Let cool for 10 minutes before removing from loaf pan. Store in airtight container at room temperature for up to one week. Eeeeek Funfetti!! This is SO much fun and exactly what I wish I could start every morning with! All those colors wouldn’t stop a smile from spreading across my face :) LOVE! What a crazy good idea!!! I love that it tastes like cake but you totally called it bread so I can eat it for breakfast (and lunch and snack and dessert)!!! This is brilliant! I never realized you could make cake mix banana bread. And Funfetti! Yay!! Love this, such a fun idea. 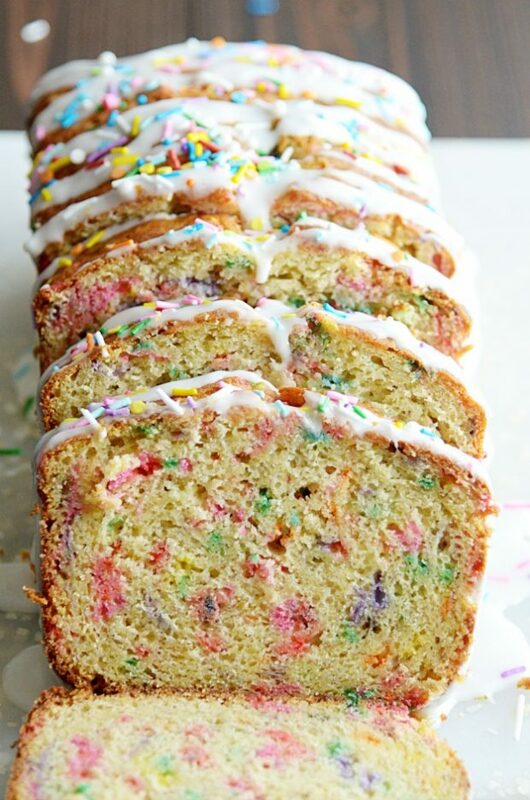 I have made banana bread using german chocolate cake mix but definitely need to try funfetti! Eeeeek! 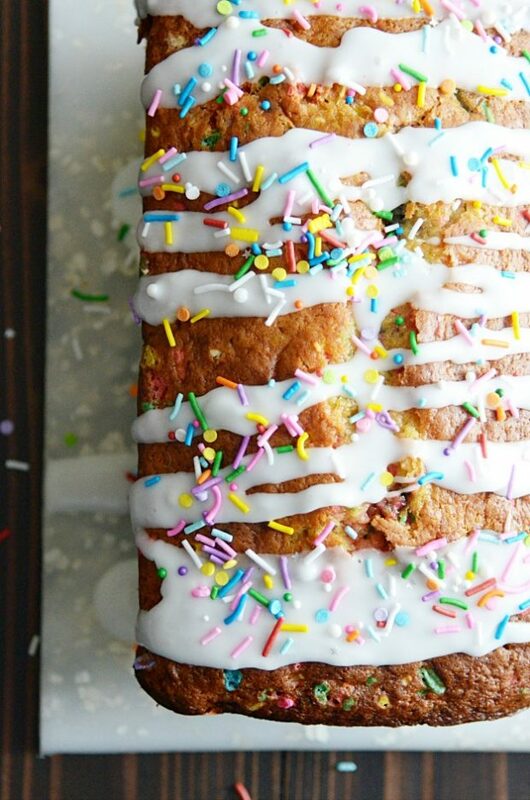 Funfetti Banana Bread sounds like it was made just for me. So many sprinkles for breakfast!! 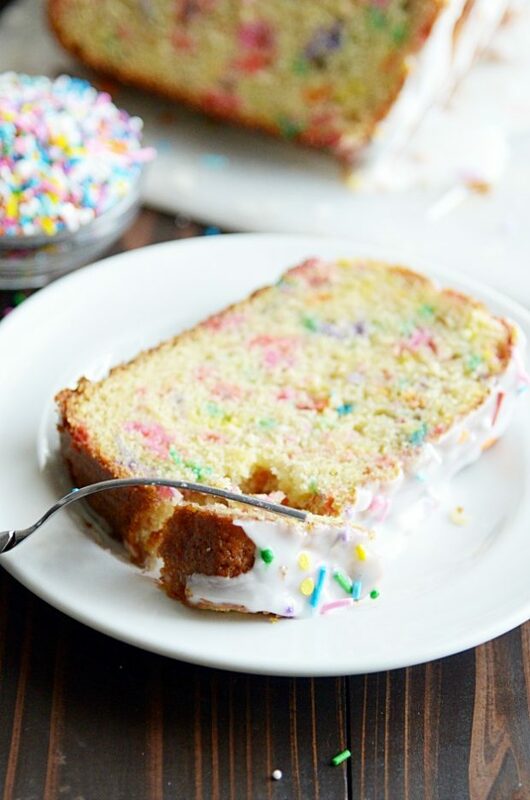 i’m seeing too many delicious funfetti recipes around at the moment! 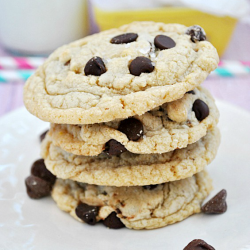 love the recipe.. craving a slice now! 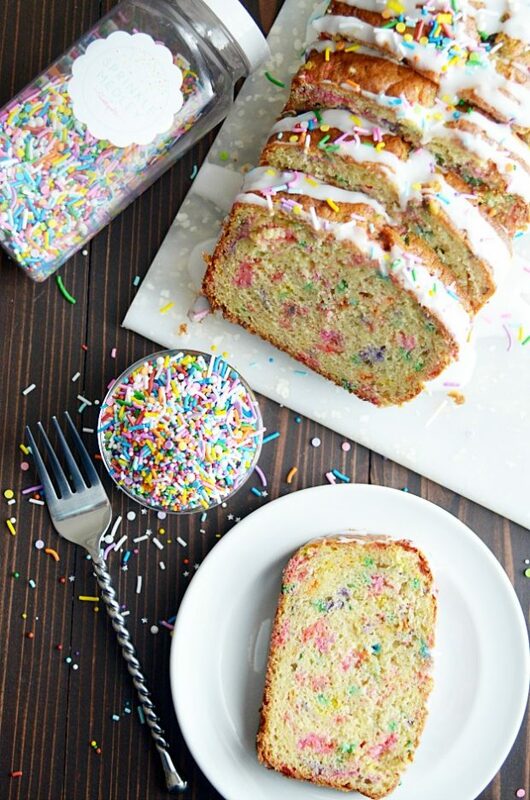 Oh, I love that you combined funfetti and banana bread!!! 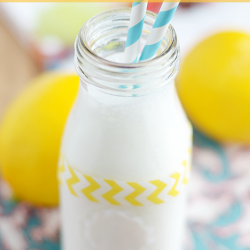 Such a fun twist to banana bread! And I even have some ripe bananas on my counter now! Sprinkles with banana bread? Yes! And I never thought of adding banana to a cake mix. Genius!! This looks amazing! What a fabulous idea!! Love this!